After meeting York University’s tenting needs for 13 years, Regal Tent was challenged to redesign the institution’s commencement ceremony from a two-week event in the campus auditorium to a six-day ceremony on the university grounds. 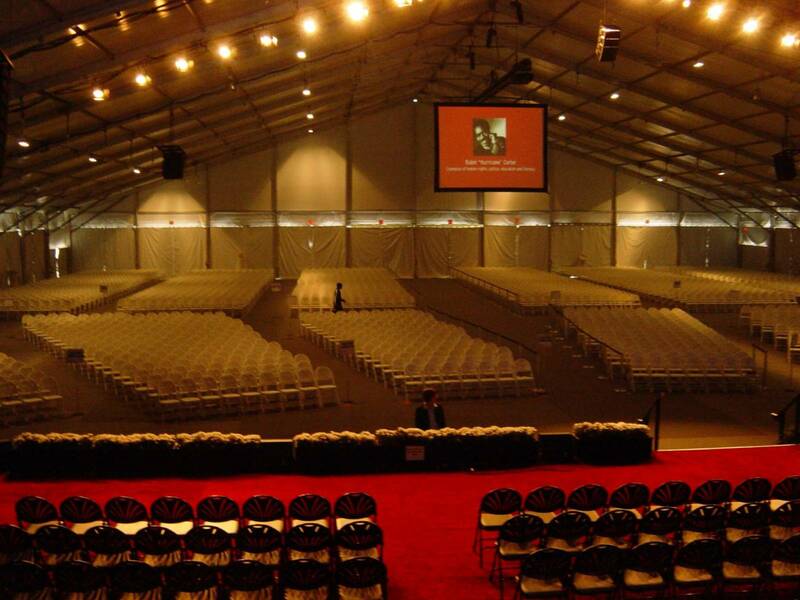 A 43,000-square-foot structure, capable of accommodating over 5,000 guests, as well as a variety of smaller structures were erected. 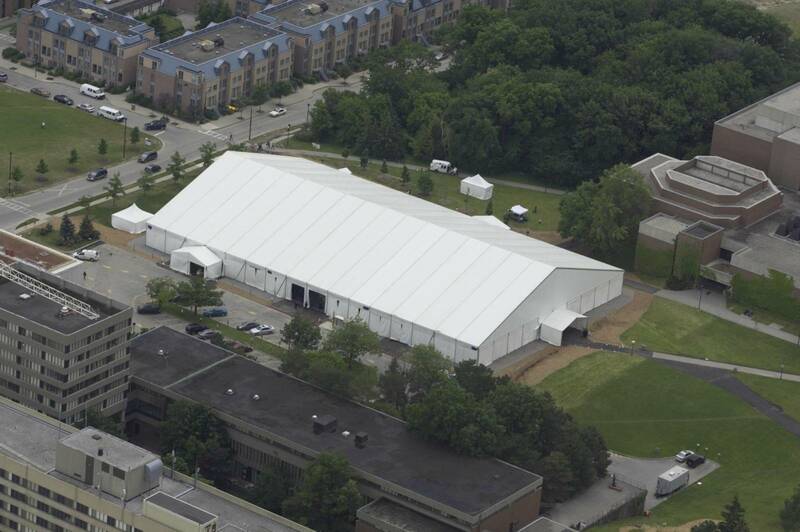 We were responsible for producing & managing the events, including supervising HVAC, lighting, power and audio/visual, preparing the grounds (re-grading, mulching, asphalt resurfacing and aesthetically finishing), writing the technical scripts, and liaising with building and fire officials to ensure proper code adherence. 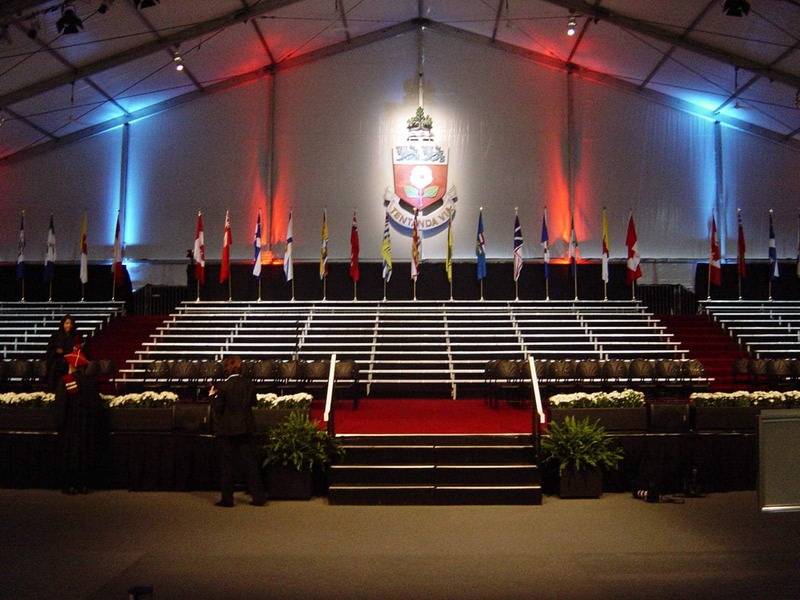 We are proud to say that we are an integral part of the York University commencement team.